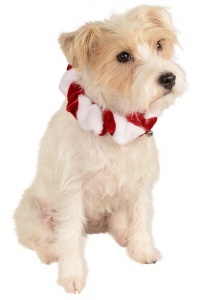 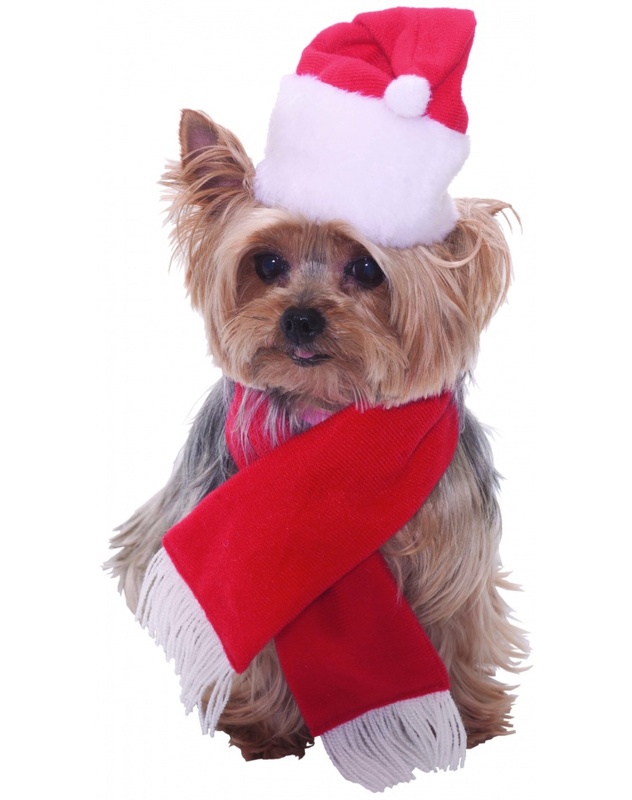 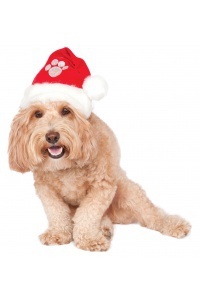 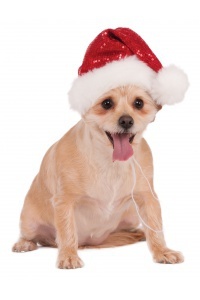 Our cute dog Santa costume includes a Christmas hat and cheerful red holiday scarf. 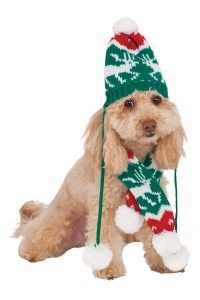 The hat and scarf are sized for dogs weighing 15 lbs or less. 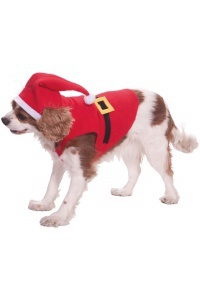 This dog Santa costume comes in pet size Small. 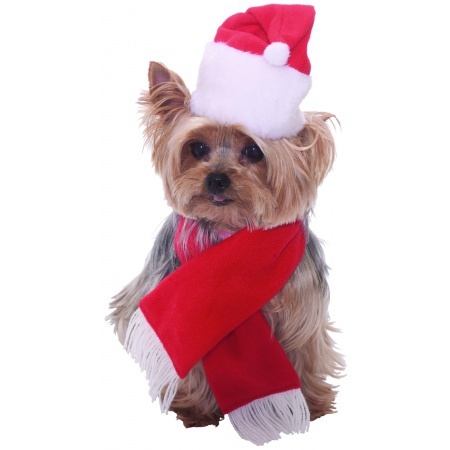 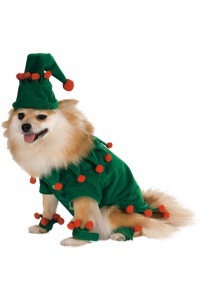 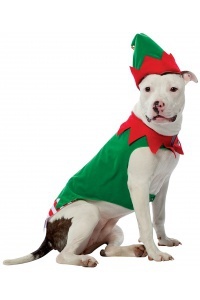 Keep your little dog in the holiday spirit this Christmas with this Santa pet costume.